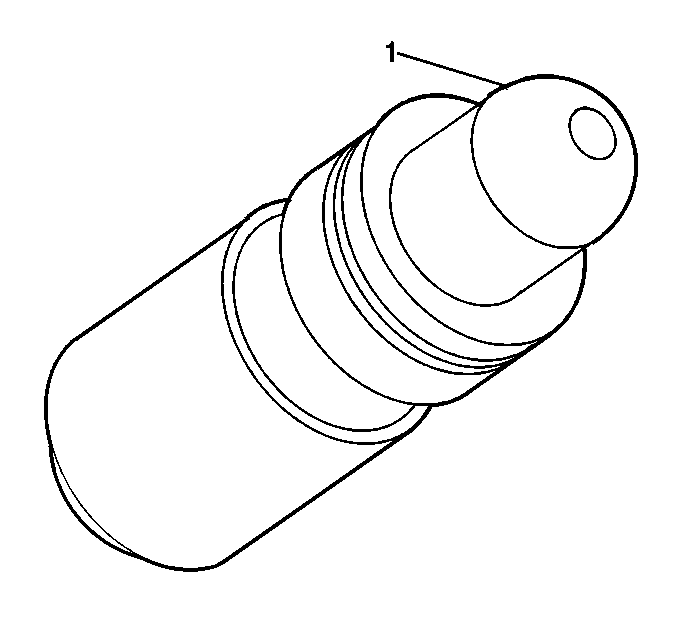 Note:Do not stroke/cycle the stationary hydraulic lash adjusterplunger without oil in the lower pressure chamber. Note:Do not allow the stationary hydraulic lash adjuster to tipover, plunger down, after the oil fill. Fill the stationary hydraulic lash adjuster (SHLA) with cleanengine oil. Refer toAdhesives, Fluids, Lubricants, and Sealersfor recommended lubricant.Take precautions to prevent scratching the pivot spherearea-(1) of the SHLA.Lubricate the SHLA bores in the cylinder head with cleanengine oil. Refer toAdhesives, Fluids, Lubricants, and Sealersfor recommendedlubricant. 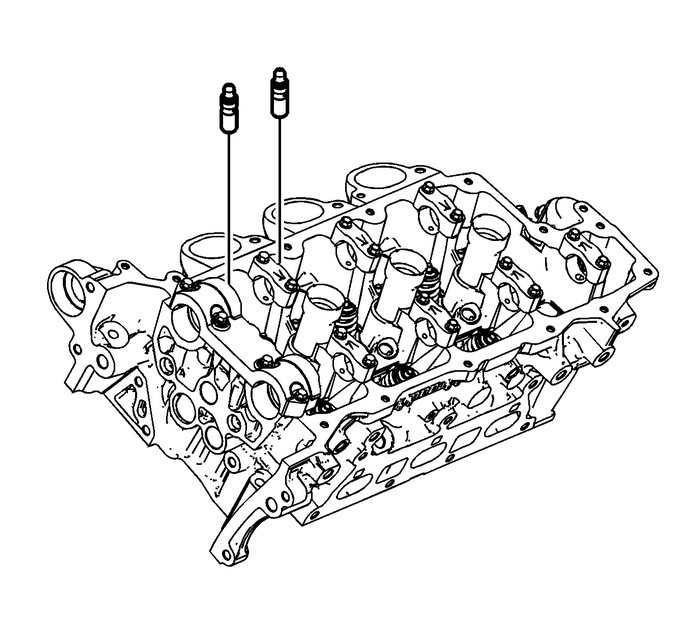 Install the SHLAs in the cylinder head.Apply a liberal amount of lubricant to the SHLA pivotspheres. Refer toAdhesives, Fluids, Lubricants, and Sealersfor recommendedlubricant.